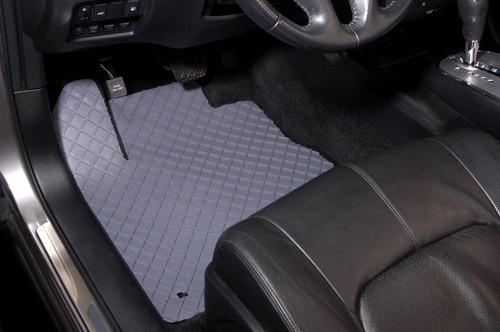 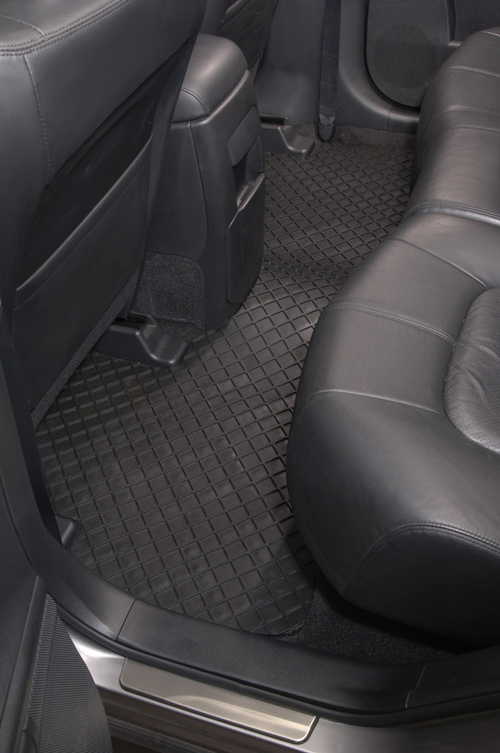 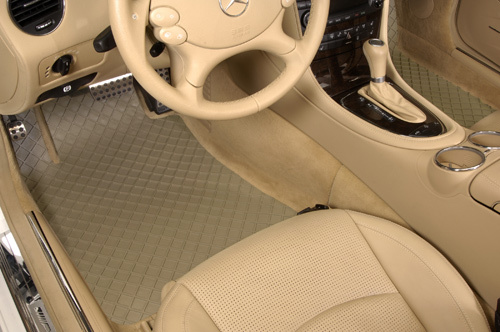 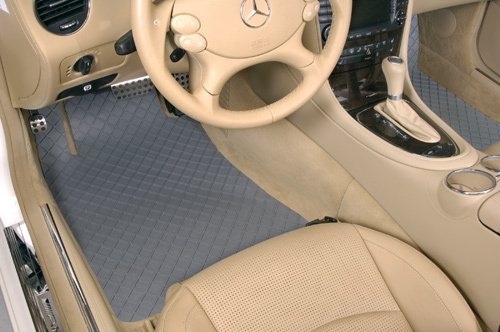 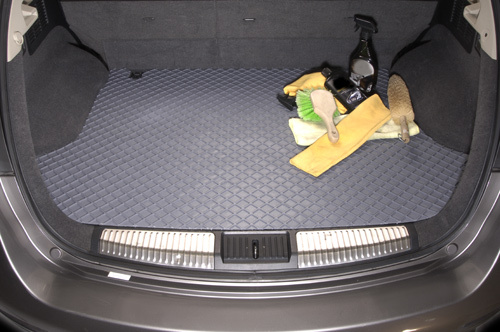 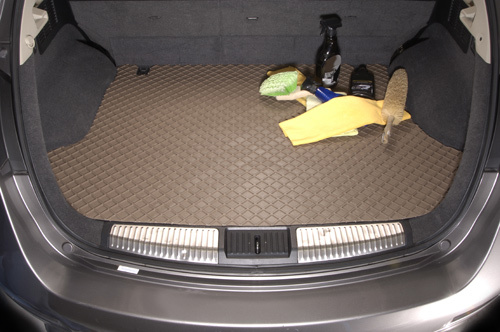 1st Economy priced custom All Season Auto Mats with a Lifetime warranty! 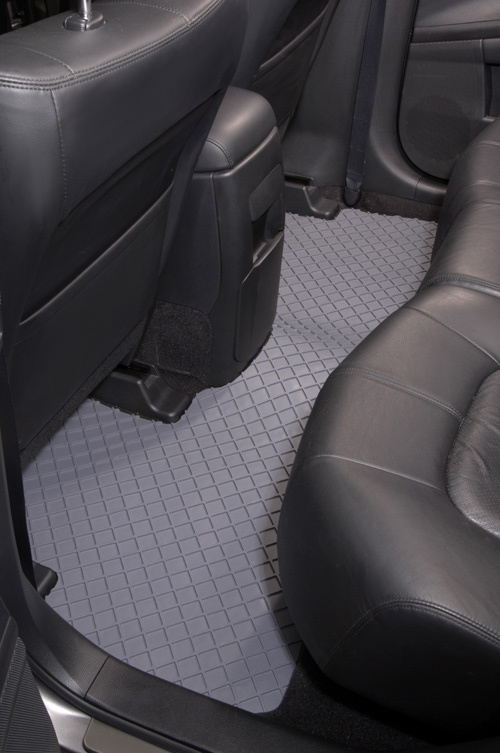 The FLEXOMATS are guaranteed against fading, cracking and being stain resistant! 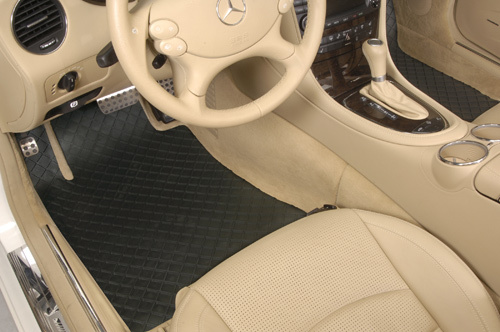 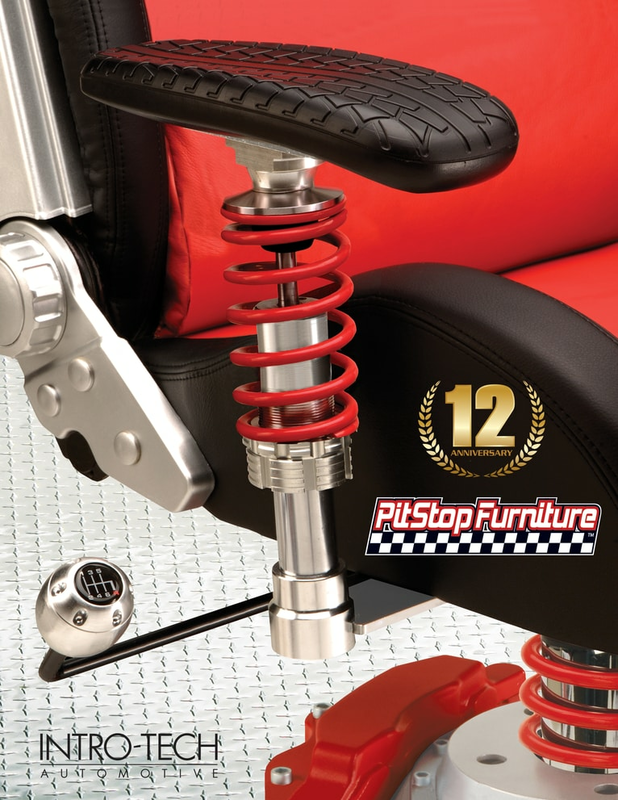 A special melange of rubberized compositions, gives it a rubber feel and look, and that unsurpassed durability. 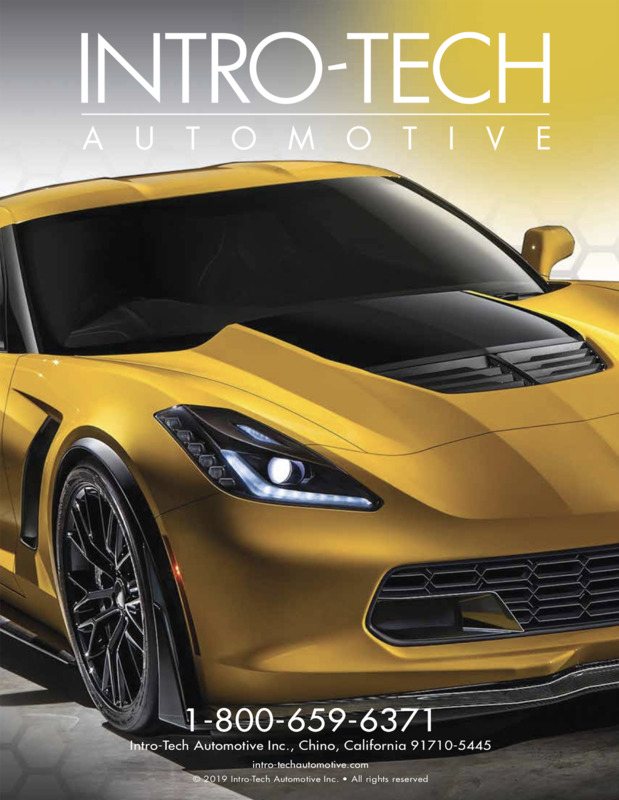 Over 8,400 custom patterns, all computerized digitized to insure a consistent fit, floor coverage is door to door. 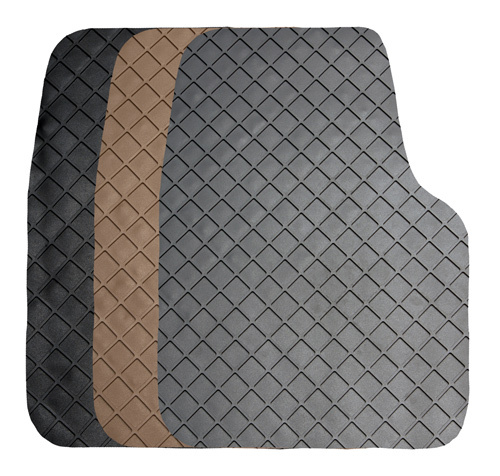 Unique diamond shape square pocket pattern with an inside wall to wall measurement of 26 mm x 26 mm. 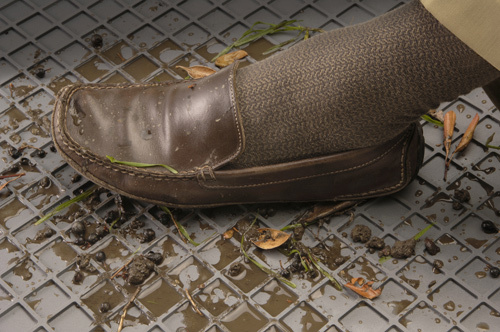 The sturdy walls are 3 mm high so there is over 2000 cubic mm of liquid, dirt, debris holding capacity per square. 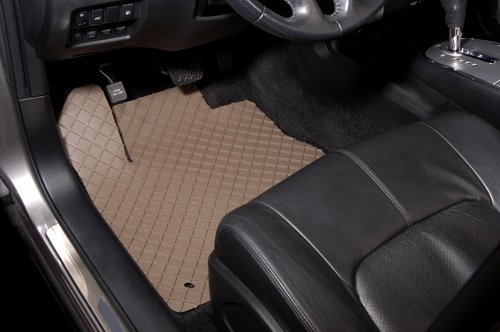 The hundreds of square shape diamond pockets in an average driver side makes sure that your carpets are protected from all elements. 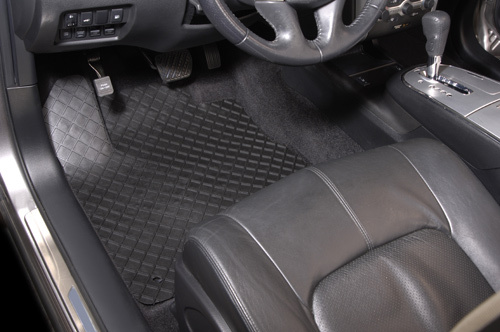 The FLEXOMAT has solid base and is finished off with 3 mm long sharply pointed nibs for extra traction and grip! 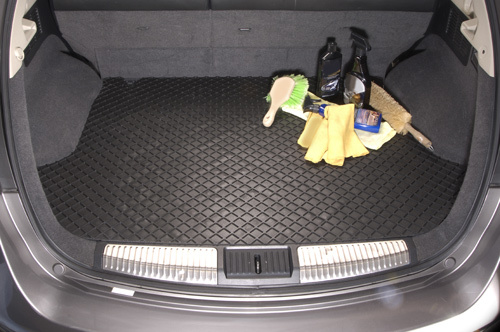 Available in the following automotive colors Black - Gray and Tan.